Are you looking for a way to keep Jesus Christ at the center of your Easter celebrations? These ten Easter gifts were hand-picked to help you invite the spirit of Christ into your life all year round. If you’re looking for an affordable, small gift, check out these fine art prints of Christ. They come in a variety of sizes and are as cheap at 50 cents a piece. 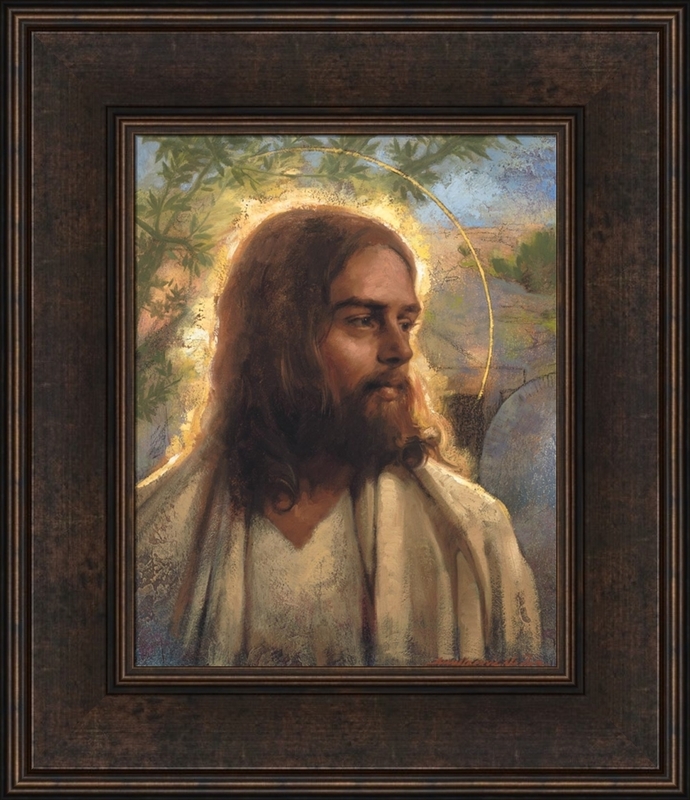 You’ll find reverent depictions of the Savior alongside prints that show his ministry and life. Prints of the Resurrection are especially good for Easter. These are great for church classes, children’s Easter baskets, and as gifts to those you minister to. Christus statues are a lasting reminder of Jesus Christ and that he was and still is the Son of God and Redeemer of the world. You can get Christus statues in a variety of material and sizes. A three-inch marble Christus, as pictured here, is only $9.95. The Living Christ is a powerful document that affirms the divinity of Jesus Christ through modern-day prophets and apostles. Now, you can carry a copy of the text with you in bookmark form. It easily fits inside scriptures or a scripture case for easy use. The beautiful design is complemented by easy-to-read text. Use it individually or buy in bulk for your church classes and groups. This bookmark is available here. Are you looking for a special Easter gift? 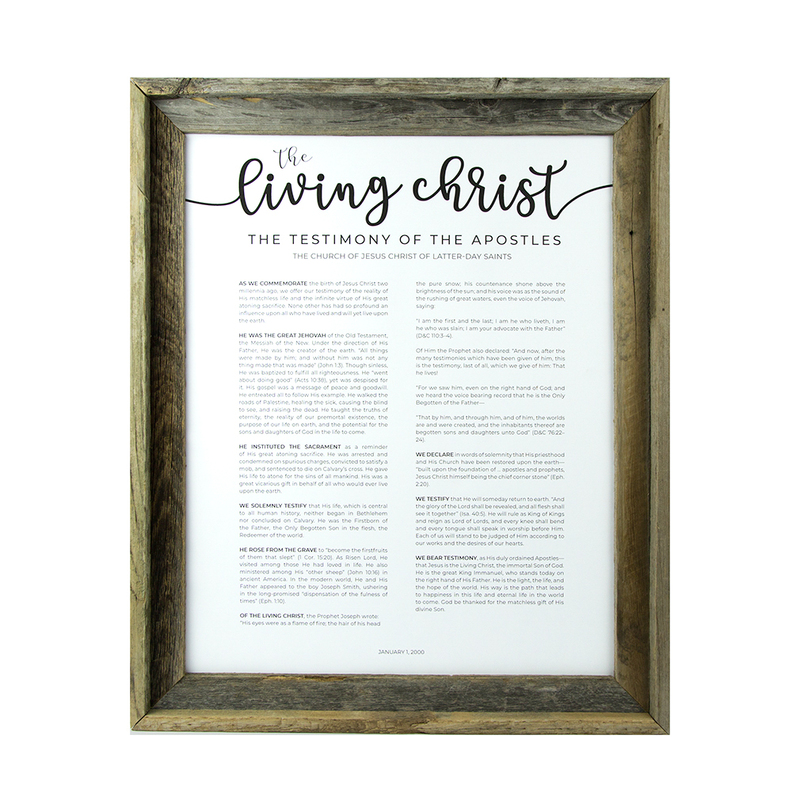 Check out this framed copy of The Living Christ. It comes in multiple different sizes and frame options. Prints of The Family: A Proclamation and the Articles of Faith are also available. You’ll be able to enjoy these special testimonies of Christ all year round. For only 99 cents, this Easter Temple Coloring Page is fun and affordable. It’s a printable, so you get sent a download link after the checkout process. Then, print off as many copies as you need. Only one purchase is necessary. The best part? There are hidden Easter eggs children can look for and color in. Discover how the people around Jesus during the week of His Crucifixion and Resurrection can lead your family closer to Christ this Easter season. This children’s edition of Celebrating a Christ-Centered Easter will guide you through seven meaningful traditions inspired by the people closest to the Savior during His holy week. Copies are available here. 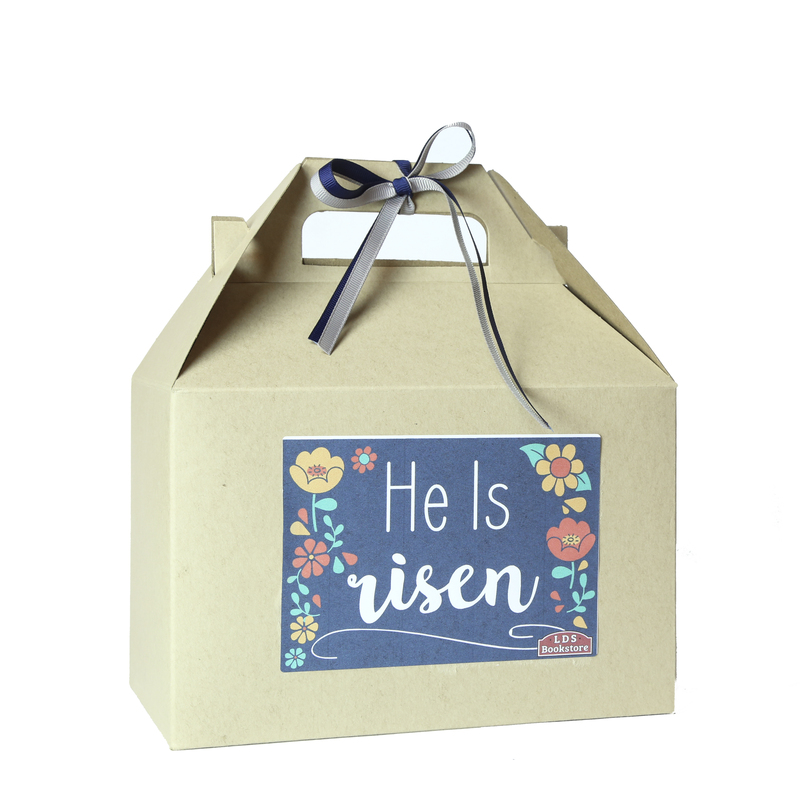 Send something sweet to your missionary this Easter with an Easter Gift Box. It’s full of goodies and can be sent to the Provo MTC or to a missionary in the field. Available here. If Easter is going to coincide with another event in your life, such as a wedding, an anniversary, or Mother’s Day, consider beautiful framed art of the Savior. Though definitely more of an investment, it’s a lasting and meaningful reminder of Christ’s love. It’s a great gift for bigger occasions or to help someone through a difficult time. See a collection here. Combining simple typography and inspiring Latter-day Saint quotes, this collection of wall art is an affordable, easy way to decorate your home for Easter and all year long. Choose from 20 different quotes and phrases, which are available in multiple frame and size styles. This brand new coloring page is free to download! It features Jesus Christ and Mary at the Garden Tomb on Easter morning. Add the printable to your cart and go through the checkout process. You’ll get a download link. Then, print off as many coloring pages as you need. It’s especially good for children during Easter dinner and church classes. Second Look at New Saturday’s Warrior Movie Released! What is Your Favorite Mormon Commercial About Dads?